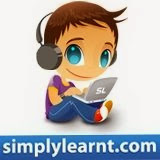 simplyLearnt.com, in partnership with EntranceCorner.com, brings to you the Virtual AIEEE 2010 Test; a FREE practice test with questions based on the AIEEE level to help you gauge your preparation for the AIEEE exam. This is a unique online test created by experts that aims at helping students find out their AIR before the actual exam. The online test will be available between the 13th and 14th December, 2009; the results will be out on the 15th December, 2009. * Test be available from 09:00 AM on 13th December, 2009 till 11:59 PM on 14th December,2009. You may attempt the test only once anytime in the specified duration. * Results for the test will be available from 15th December, 2009.